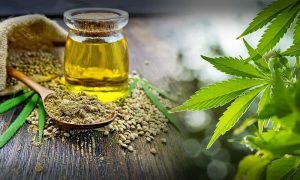 Today, I am going to share a usefull article about Hemp based CBD oil. Hemp-based CBD oil is becoming increasingly popular with people who want to benefit from the medicinal properties of cannabis, without the risk of getting high. Cannabis contains cannabinoids, of which one of the most potent in terms of healing properties is CBD. There is another compound in cannabis, called THC, which is psychoactive, and is what makes people high. Some people dislike the high, or cannot use substances that get them high because of their jobs or their athletic careers. For those, hemp-based CBD oil, which does not contain THC, is a good option. Hemp-based CBD oil can be sold online and shipped from state to state, and internationally, which makes it a good option for both sellers and buyers who struggle to navigate the complex legal landscape surrounding CBD. Many people have benefited from hemp-based CBD oil. There is evidence that it can help with everything from inflammation to seizures, and that it can even help people to sleep better. CBD oil can be taken orally, added to cooking, or enjoyed in a number of other ways. There are oils that can be vaped, for example. It is important that people check the labelling carefully on any products, and understand exactly how they are made and where they come from. While there are hemp-based oils that are perfectly suitable for use by anyone – including athletes and those with drug-tested jobs, there are oils that do contain THC as well. Since the market is not yet strictly regulated, it is hard to be completely confident in what you are getting. For this reason, many people end up picking just one supplier that they trust, and then using only that supplier. Once you have bought a specific brand successfully a few times, you can be more confident in what you are getting and know that you won’t have to worry about problems with it such as contamination, lack of potency, or oil that spoils easily. CBD oil itself is safe. Even if you take a large dose you should not experience any side effects – the only problem with a large dose is that it would be a waste of money. Hemp-derived oils are a great solution for those looking to reduce PTSD symptoms, reduce inflammation, recover quickly if they are an athlete, and enjoy numerous other benefits. Sadly, until the law catches up you will need to shop carefully. This entry was posted in CBD on April 18, 2018 by PWRN Radio- Public Radio In Favoring of Legal Recreational Marijuana.